If you have water in your basement, mold growth, or other basement waterproofing problems, you want a solution that works correctly and will stand the test of time. Waterproofing Specialties has specialized in providing quality basement waterproofing services in Northern PA and Western NY since 1984, and we know what it takes to keep your home dry and clean. Our complete basement waterproofing system consists of patented, proven products that are specifically designed for the basement environment. And, as part of the international Basement Systems network, we employ fully trained and certified waterproofing specialists who will provide you with a solution customized to your home's needs. If you're interested in basement waterproofing services for your home, call us today at 1-844-871-4590 or contact us online. We offer free estimates on all our work in Du Bois, Olean, Warren and the nearby areas. Your damp or wet basement can cause more than just a headache; these issues can create bigger problems like mold, mildew, rot, structural damage, and a variety of health problems. If you've noticed any of the symptoms below, you might have a basement water problem. We had cracks occur in one of our basement walls. We were concerned that the wall would continue to crack and eventually fall in. We had Waterproofing Specialties come in and put the braces on the wall to secure the wall. It is and amazing process and so far we have no new problems. 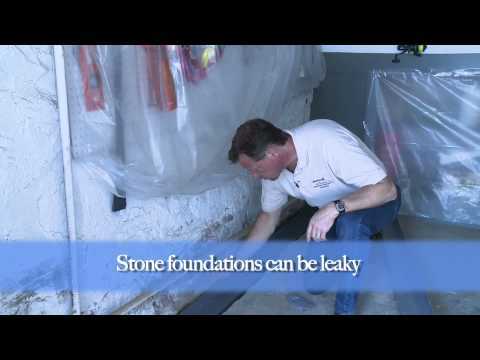 In the past, most heavy rainfalls caused our basement to get wet. After having your system installed 2 years ago, we have had no water. The installation of “Water Guard” in a problem area of the basement took care of the water problem in that area. I am considering having another problem area of the basement done. Together, our basement waterproofing products provide complete protection from leaks, excess moisture, mold growth, and more. Our system is specifically designed to handle the unique challenges of the basement environment. Our waterproofing experts will carefully evaluate your home and recommend the best products to handle your specific needs. We don't give you a "one size fits all solution" -- we give you the right solution for your home. If you have any basement waterproofing problems in your home, Waterproofing Specialtiesis here to help! Our experienced professionals know exactly what it takes to keep your basement clean, dry, and healthy. Our system has been proven effective for decades, and we guarantee an long lasting solution for your home. Call us today at 1-844-871-4590 or contact us online to get a free estimate on basement waterproofing services for your home. We proudly serve in Warren, Olean, Du Bois, Oil City, Saint Marys, Bradford, Franklin, Clearfield, Clarion, Punxsutawney and throughout the surrounding areas.